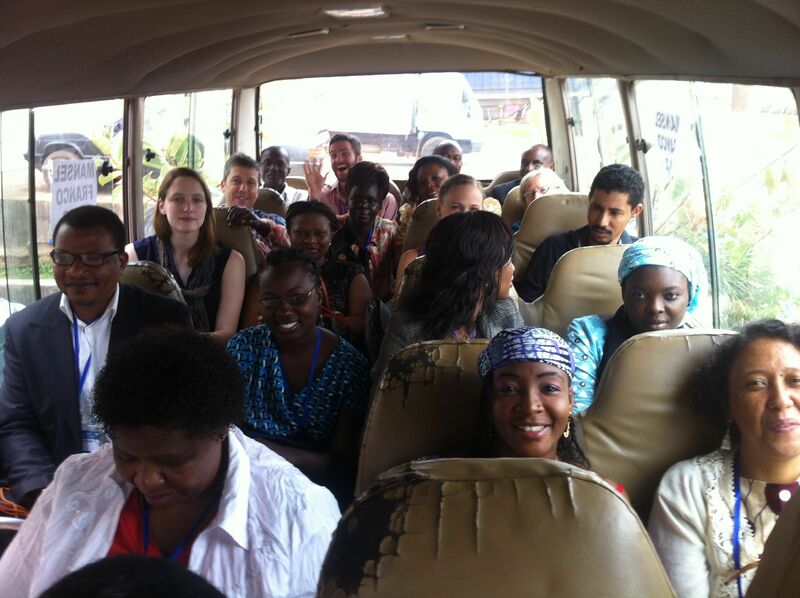 In this episode we present a mixed bag where Kylie debriefs her most excellent week at the African Evaluation Association 2014 conference and James takes us on his search for a "non-boring" evaluation journal article. Shout outs to Serge-Eric Yakeu Djiam, Jennifer Bisgard, and all the hard-working volunteers at AfrEA2014 and the Cameroon Development Evaluation Association for a great conference. Fournier, D. M. (1995). Establishing evaluative conclusions: A distinction between general and working logic. New Directions for Evaluation, 65, 15-32. Patton, M. Q. (2000). Overview: Language matters. New Directions for Evaluation, 86, 5-16. Gamble, J. (2006). A Developmental Evaluation Primer. Montreal, PQ: McConnell Foundation. Dozois, E., Langlois, M., Blanchet-Cohen, N. (2010). DE201: A practitioner's guide to Developmental Evaluation. Montreal, PQ: McConnell Foundation. Scheirer, M. A. & Schwandt, T. (2012). Planning evaluation through the program life cycle. American Journal of Evaluation, online, 1-32. Evergreen, S. & Metzner, C. (2013). Design principles for data visualization in evaluation. New Directions in Evaluation, 140, 5-20. 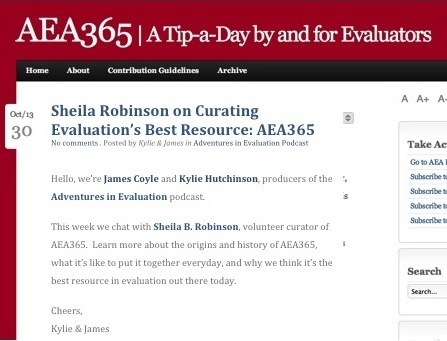 This week we talk to Sheila B. Robinson about the great AEA365 Blog! This week we're talking about doing Developmental Evaluation from the perspectives of both an internal (James) and external (Kylie) evaluator. We're also interesting in hearing what you think. Add your comments below. Don't forget to leave us your comments below (click on Comments just by the five stars). In this episode we discuss our "desert island evaluation resources". These are resources we would want to have with us if we were stuck on a desert island and....uh...still doing evaluation. Have any others? Please leave your comment below.